UK12 / 46 Euro 1 Left! 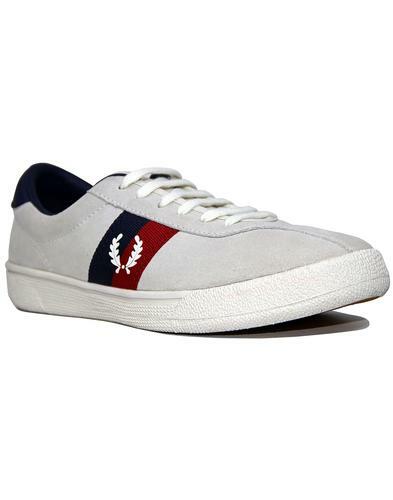 Gola Mark Cox Men's Retro 1970's canvas tennis trainers in off white. Paying homage to Tennis legend, Mark Cox, who graced the courts in a career spanning from the 1960s right to the 1980s, notably becoming the first amateur player to ever beat a pro player in 1966, the year he also reached the quarter finals of the US open! 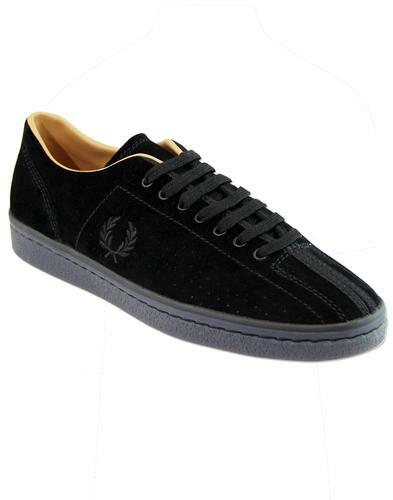 Cox sported Gola footwear on the courts and now you can too with these fab Men's Tennis trainers that offer a cool and contemporary take on a true Retro classic. 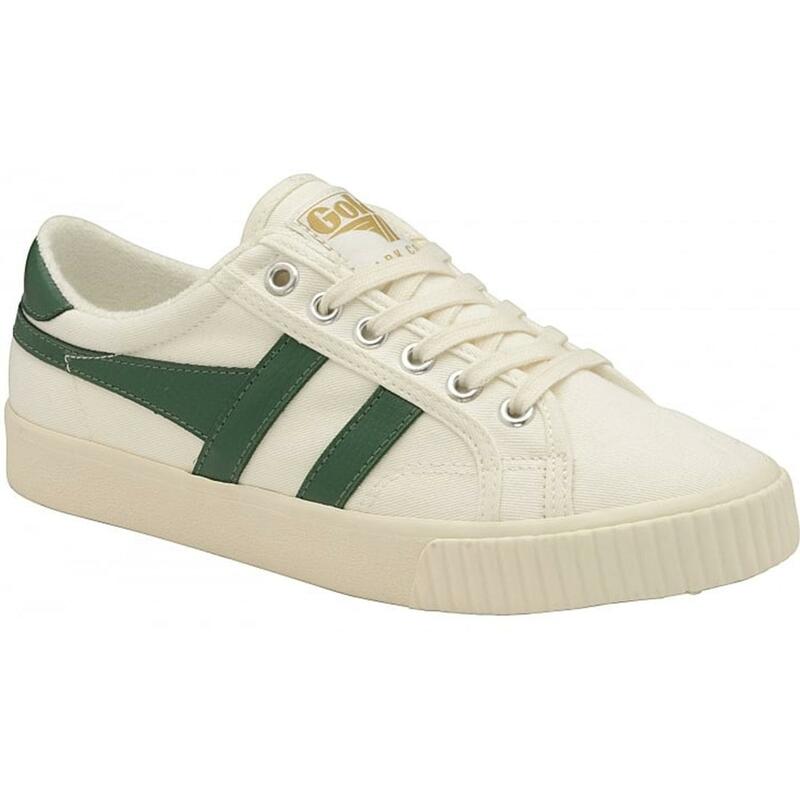 With contrast green leather Gola side stripes working perfectly against the off white canvas upper, these Mark Cox Gola Trainers also conjure up something of a 1990s Indie Britpop vibe. Just the ticket for the summer season. Serving up a grand slam of style, practicality, retro charm and sporting finesse, the Gola Mark Cox Tennis Trainers are more refreshing than strawberries on a warm summers day at Wimbledon! - Gola men's retro Mark Cox Tennis trainers in off white canvas. - Contrast green leather side stripes and heel detail. - Self colour lace fastening. - 6 silver metallic eyelets. -Tonal sidewall and ridged rubber fox banding to toe. 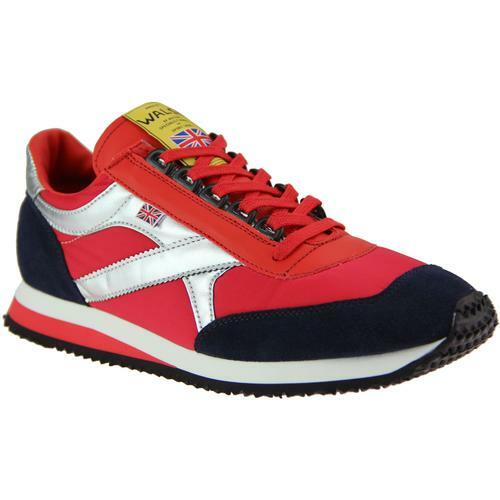 - Gola signature to heel. - Gola woven tab label to tongue. - Terry towelling interior details. - Colour: Off White/Dark Green. 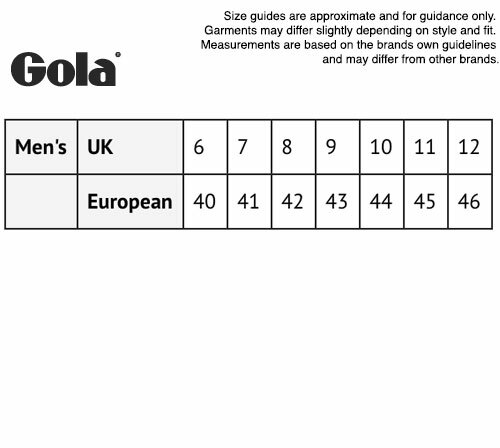 - SKU: CMA280WN2 Gola Mark Cox Trainers (Men's). Composition: Canvas upper, textile inner, other outsole.